Starting off as an archery demonstration in Aylesbury, England in 1948, the Paralympic Games have grown into an event with global proportions. With the inclusion of more athletes and more participating countries, the Paralympic Games have become the second biggest sporting event in the world, being second only to the Olympic Games. In 2020 the Paralympic Games will be held in Tokyo, Japan. The first Paralympic Games took place in Rome in 1960, and have been held since every four years. In 1980 the games were hosted by the city of Arnhem, The Netherlands, which marked the beginning of the leadership role of the Netherlands in the integration of handicapped sports. A primary role is being played by the Netherlands Olympic Committee and Netherlands Sports Federation (NOC*NSF). 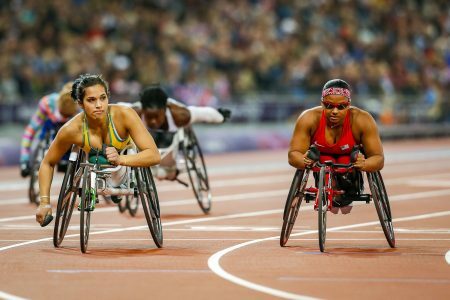 In the follow-up to the Rio 2016 Games, and the successful conclusion of its social spin-off projects, the NOC*NSF now sees the coming Games as the next step in advancing a progressive agenda for the integration of handicapped sports. Looking forward to Tokyo 2020, the NOC*NSF initiated a project in collaboration with local partners to promote and improve upon the integration of handicapped persons, trying to make sports accessible for everyone. By also increasing the visibility Paralympic athletes it intends to stimulate Japanese society into improving the social acceptance of handicapped persons.